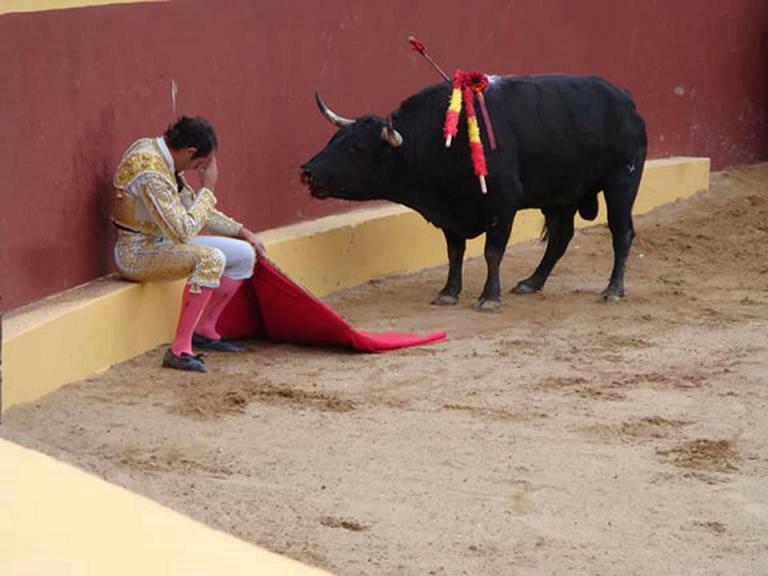 Compassion: This incredible photo marks the end of Matador Torero Alvaro Munera’s career. He collapsed in remorse mid-fight when he realized he was having to prompt this otherwise gentle beast to fight. He went on to become an avid opponent of bullfights. Even grievously wounded, the bull did not attack Munera.